Radi Lazarova's debut was just a few months ago within Sofia Fashion Week spring-summer 2018. The talent of the young designer quickly attracted the attention of fashion lovers and connoisseurs who discovered in her creations feminine, artistic and sophisticated proposals. Among them is Natalia Gurkova, who chose a dress from Radi Lazarova's first collection and gathered her with the red carpet at this year's Cannes Film Festival. The new Womanity Prom collection of Blink Fashion House is inspired by the beauty of exotic birds, architecture and natural phenomena. Fountains, waterfalls and volcanoes are part of the designer's inspiration for some of the dresses. Radi Lazarova relies on author's laces, eccentric shapes, up-to-date color combinations, hand-molded 3D decorative elements and spectacular, transparent details. The designer develops the trend of the transparent elements, which forms in complex constructions. The collection includes a variety of silhouettes - A-line, "Mermaid", "Princess", and combinations of two silhouettes in one. In the top design, the designer relies on corsets, spectacular necklines, bare backs, transparent design details and geometric motifs. High waist, different lengths, asymmetry, and multi-layered skirts of spectacular transparent fabrics are also characteristic of the collection. The fabrics used are high quality French, Italian, Dubai laces, silk tulle, duo, matte satin, Italian taffeta. 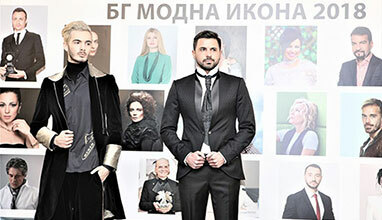 The unique collection of unique ladies, designed by Radoslava Lazarova, are specific to the collection. These are the floral motifs and, in particular, stylized peonies with which beautiful compositions are made. The leading colors are UV, body, rose ash, powder, cappuccino, shades of blue and burgundy. The decoration of the dresses is entirely hand-modeled and includes various 3D elements - flowers, feathers, crystals and crystals in fittings, beads, and decoration with pearls by special technology. At the finale of the gorge, the designer also showed several bridal gowns, with accents of the spectacular naked shoulder, sleeves and the "boat" neckline. In the spirit of current trends are used asymmetry, solved details, flats, overlay of transparent fabrics, floral and geometric motives. 1. 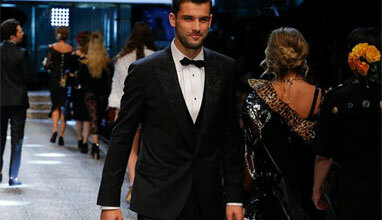 The designer Radi Lazarova and the Womanity Prom collection on the stage of Sofia Fashion Week in autumn-winter 2018. 2. 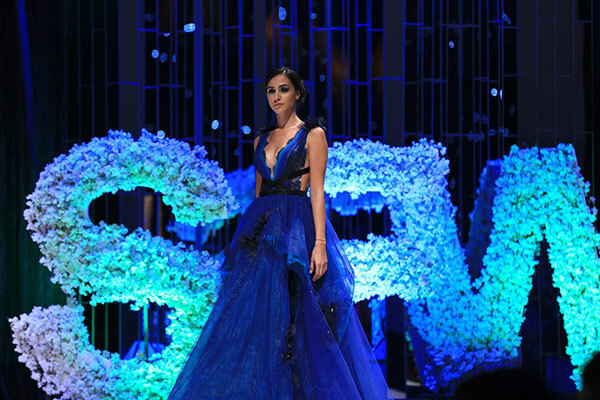 Ivaila Bakalova – Miss Bulgaria Universe 2001, opened the show of fashion house "Blink". 3. – 4. Gabriela Vassileva – Miss Bulgaria 2012, dressed in Womanity Prom collection with designer Radi Lazarova. 5. Veronika Stefanova – Miss Bulgaria World 2017, dressed in Womanity Prom collection with designer Radi Lazarova. 6. – 11. Womanity Prom Collection of fashion house "Blink" with designer Radi Lazarova.